The hive that did not swarm was not behaving well lately. 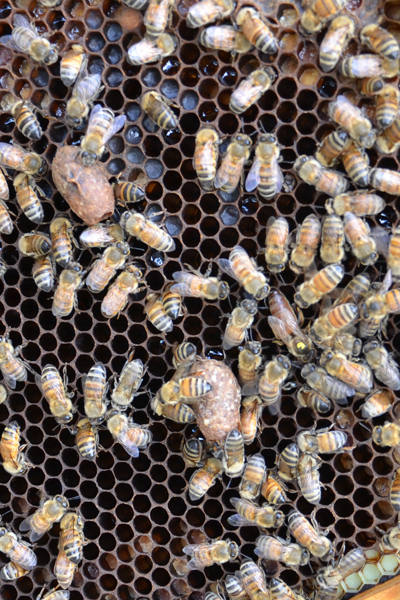 The bees seemed a little bit more aggressive than our other hives, plus we noticed the queen was not performing well. So what do you do in this type of situation? Requeen! 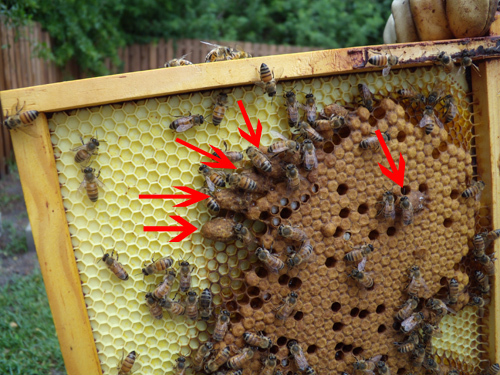 This particular hive had 2 deep chambers. 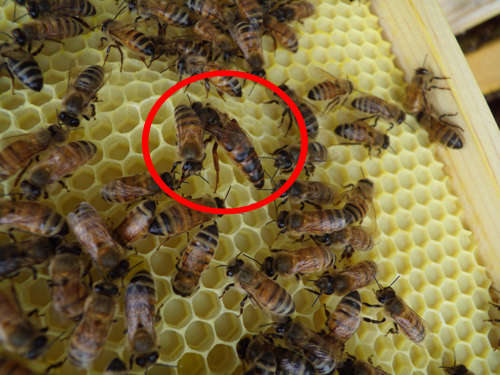 We put a queen excluder between the two for a about a week so we could easily determine which chamber the queen was in, by looking for eggs. 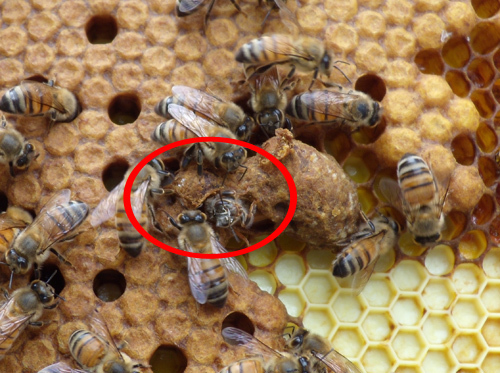 Right away when opening the hive we noticed something – the top chamber that did not have the queen was very calm and gentle. The bottom chamber where the queen was, the bees were still aggressive. 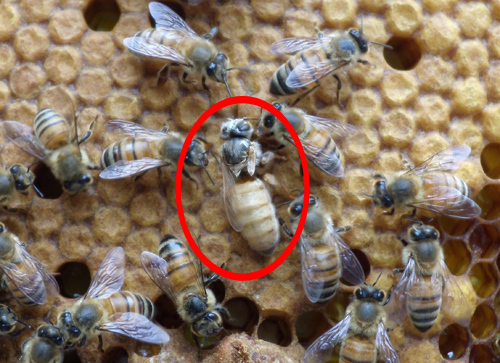 We found the queen and quickly ended her life – no pain or suffering. Once that part was over with, we left the hive queenless for a few days. 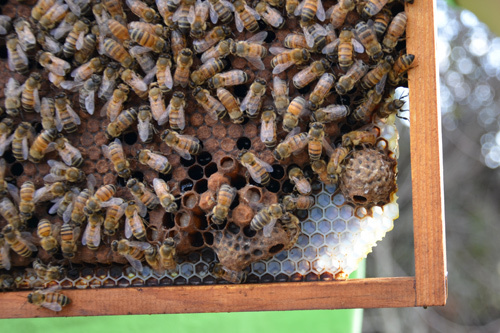 We went back after a few days to check for any queen cells. We found a couple and destroyed them. 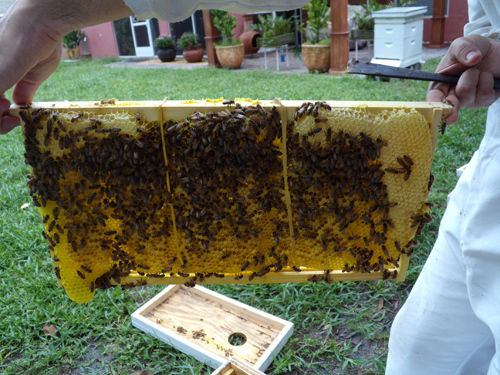 Our next step was to combine one of the newly swarmed nucs that had a new laying queen with the bad behavior hive. 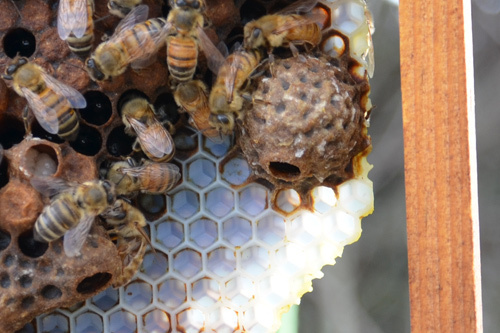 We put a piece of newspaper, with some holes poked in it, in between the new hive and the old hive. The newspaper allows the bees to smell each other, but not attack one another. 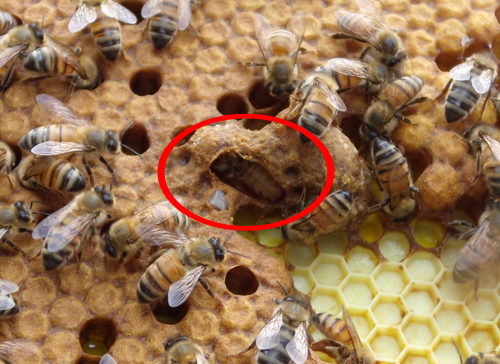 The holes in the newspaper help them to start chewing through and eventually the two hives are combined. 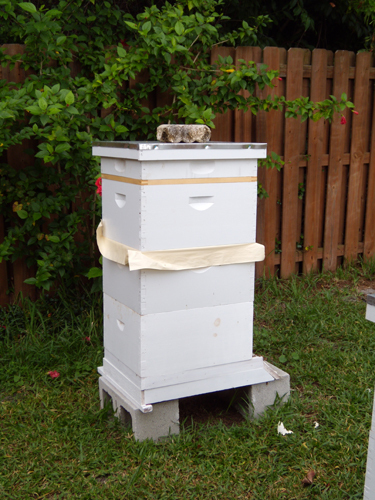 We are allowing them one week to get combined and reorganized within the hive and then we will check on them again. Stayed tuned to see how it works out.